The past is behind for the Mapúa Cardinals as they look ahead and prepare to take flight. The previous season of the National Collegiate Athletic Association (NCAA) was a challenging one for the Intramuros cagers, as they had to work with a depleted lineup, with some players nursing injuries or skipping the tournament. Unlike the past two seasons, the Cardinals missed the Final Four and registered only a couple of wins despite showing heart and undying passion for the game. Last season, however, is already in the past for the Cardinals, taking their losses as lessons and victories as motivation. As the tip-off of the 94th NCAA season nears, the Mapúa Cardinals are optimistic about an improved campaign. The team will take it one game at a time as it sets sight on more victories this season. With this goal in mind, the coaching staff, led by Head Coach Fortunato “Atoy” Co, Jr., engages the team in rigorous practice and training sessions, supplemental conditioning and strengthening program, and competitive off-season tournaments. The Cardinals showed flashes of brilliance in the 2018 Filoil Flying V Preseason Premier Cup, starting their campaign with a 4-0 win-loss record. For Coach Co, though this feat may not be the gauge for the upcoming hoops war, the preseason performance surely showed the team’s potential. “If we’re going to work as a team and everybody will be focused on what we are doing and on our system, we have a chance to win games,” shares Coach Co. Besides the skills, the team will also rely on leadership and team chemistry, as it is composed of veterans, returning players, and rookies. Returning player Justin Serrano will lead the Cardinals as team captain, while fellow returnee Exeqiel Biteng, who showed excellent preseason performance, will be one of the main scoring options for the Cardinals. The team has also acquired the services of homegrown talents and high school standouts like Eric Jabel and Warren Bonifacio. Along with other rookies, they are expected to boost the team’s bid in the upcoming season. Meanwhile, the juniors team remains as a title contender, despite losing key players due to graduation. The Red Robins, who are gunning for a third straight NCAA Finals appearance, showed an excellent performance in the off-season, emerging as one of the best teams in the juniors division of the 2018 Filoil Flying V Preseason Premier Cup. Under the guidance of long-time Head Coach Randy Alcantara, the team will be banking on their winning tradition and effective system. Last season’s Most Improved Player Clint Escamis will serve as team captain for the Red Robins, which has also recruited talented players from the provinces. 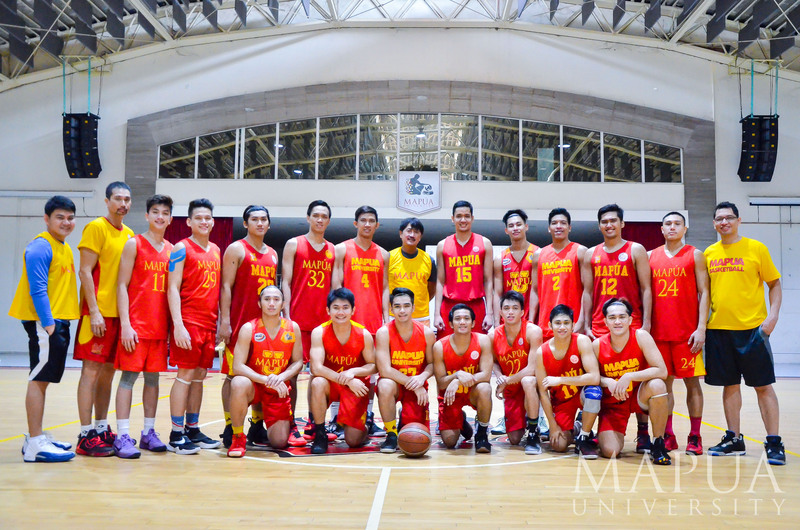 Disciplined and committed, the Mapúa basketball teams are coming prepared into a new season. Whatever comes their way, the Cardinals and Red Robins will fight gallantly, ready to do the Mapúa community proud.